Am Donnerstag Abend 01.10.2015 um 20:00 sind die Wissenschaftler Dieter Broers und Prof. Claus Turtur zu Gast bei OKiTALK. Hier trifft Bewusstsein auf Quantenphysik, was einen interessanten Abend verspricht. Auch wenn das den meisten Menschen klar ist, treffen hier aber auch zwei Freunde aufeinander und ich fühle mich geehrt, dieses Treffen zu begleiten. Right now, you are being bombarded by a plethora of energies. These energies are further aiding Heaven in subtle adjustments to your physical, mental and emotional aspects. The purpose of these particular adjustments is to make it easier for you to absorb the new energies that are slowly raising your body’s base frequencies. These energies need to rise as various new components are to be added by our medical teams. This is to make it possible for you to better stabilize once you are hit by the occasional large quantum of energies that are coming from the galactic core. These coming changes are to further shift you into a series of newer core perceptions. Our mentors require that you be open to a number of realities with regard to your initial „fall“ from full consciousness. Heaven desires that you learn why these vast shifts in consciousness occurred. At that time, the Atlanteans were desperate to gain the aid of their dark allies. They saw that a number of other „daughter“ colonies were greatly opposed to what had been done to Mu (Lemuria) and a rebellion loomed. The GF tuned in to our collective needs, and Sheldan translated their message to us. Usually, when PAO prepares a Webinar, we know in advance what the topics will be. 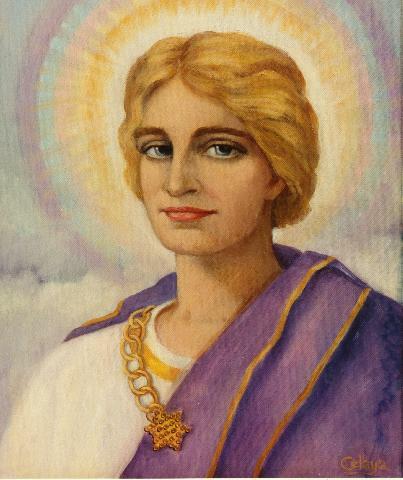 But in July’s unique Live Webinar, for the very first time, the Galactic Federation transmitted to Sheldan, instantaneously, a fluid Galactic report on our progress. You will learn how our light body integrations are being accelerated, and be given new information on the abundance program. NOTE from Colleen: Yesterday after our webinar, I spent a couple of hours in meditation. I received the exact same message as L’Aura has received from the Pleiadeans. Stay in the Now. Love the synchronicity. It keeps me aware of the magic of the times we live in and my connection to my I AM Presence. Stay Present. Accept EVERYTHING. And ALLOW the Miracle of your Presence to UNFOLD for you ~ an Existence that is FAR GREATER than you could ever imagine. Changing our perceptions and recognizing when we are reacting from our habitual, old paradigm perspectives is key as we anchor in 5th dimensional thoughts and choices. The month of September’s mind-bending, heart opening, activational energies came in to help us break free from our old paradigm’s 3D behavioral patterns. Daily practice living in the NOW. This is a great webinar to add to your library. 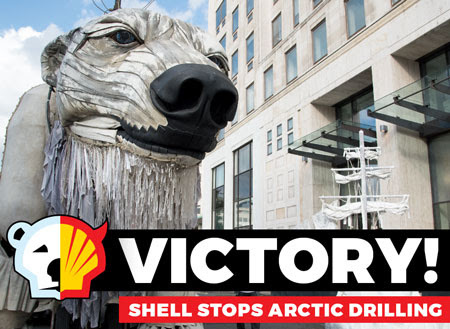 Heart-stopping moment: Shell just announced they will stop drilling for oil in the Arctic! Three long years of campaigning, one incredible summer of action, and 7 million of us around the world in a rising global movement for the Arctic – just, wow! Or if you don’t use Facebook, forward this email to some friends to show them this is what people power can do! Shell have said they have abandoned drilling in the Arctic for the “forseeable future”. And the Financial Times reports today “Exit, pursued by a polar bear… A decade-long escapade on ice is over”. It’s the climax to an amazing three years. Around the world, millions have signed the petition, thousands sent emails to Shell and called on President Obama to intervene. Together, we got LEGO to end their toy deal with Shell, sending a powerful message to the company that Arctic drilling doesn’t win friends. We closed Shell petrol stations across the world. At sea, we pursued and climbed on board one of Shell’s Arctic rigs to shine a light on their drilling plans. In the USA, we delayed them by hanging activists from a bridge – and garnered huge mainstream media coverage in the process. And here in the UK, we’ve been outside Shell’s London HQ for two months, with musical performances and the three-tonne polar bear Aurora. Every petition signature, every donation, every tweet or Facebook post spreading the word, every activist putting her body in the way of an oil rig or ship has added up to this victory. The Arctic is safer for now. But there’s more to do – until we can be sure that until the Arctic is safe from all oil companies, for good, we will keep fighting. Now’s a moment to celebrate – share the love! PS. Read more about the three year campaign against Shell’s Arctic drilling here:http://www.greenpeace.org.uk/people-vs-shell. Join world class experts as they connect the dots on advanced technology, missing money, the breakaway civilization and ET’s. The weekend of October 31st, you can participate online or in person. Click here to learn more and to access ourdiscounted ticket code. Spread the word!